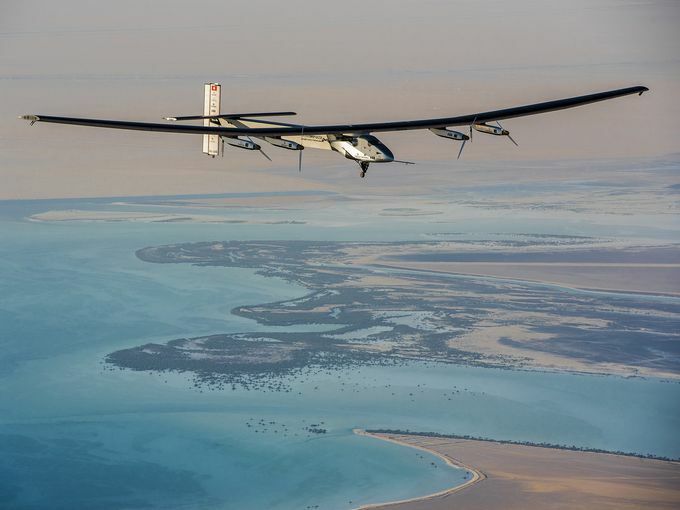 Solar Impulse 2 has completed its historic round-the world trip, after the aircraft touched down in Abu Dhabi. Pilot Bertrand Piccard conducted the final leg of the epic journey, steering the plane safely from the Egyptian capital Cairo to the UAE. He has been taking turns at the controls with Swiss compatriot Andre Borschberg, with the mission aiming to promote renewable energy. It brings to an end a voyage that began in Abu Dhabi on March 9, 2015. The 17-stage journey covered some 42,000km, taking in four continents, three seas and two oceans. The longest leg, an 8,924km flight from Nagoya in Japan to Hawaii, US, lasted nearly 118 hours and saw Andre Borschberg break the absolute world record for longest (time duration) uninterrupted solo flight. It was just one of 19 official aviation records set during the global adventure. Bertrand Piccard and Andre Borschberg have been working on the Solar Impulse project for more than a decade. They had hoped to complete the challenge in 2015 but progress was not quite swift enough to get the best of the weather in the Northern Hemisphere’s summer. When battery damage was sustained on that epic five-day, five-night passage over the western Pacific in June/July 2015, the decision was taken to ground the effort for 10 months. Solar Impulse is no heavier than a car, but has the wingspan of a Boeing 747. It is powered by 17,000 solar cells. The solar-powered aircraft’s experimental design presents a number of technical difficulties, with the airplane being very sensitive to weather conditions.